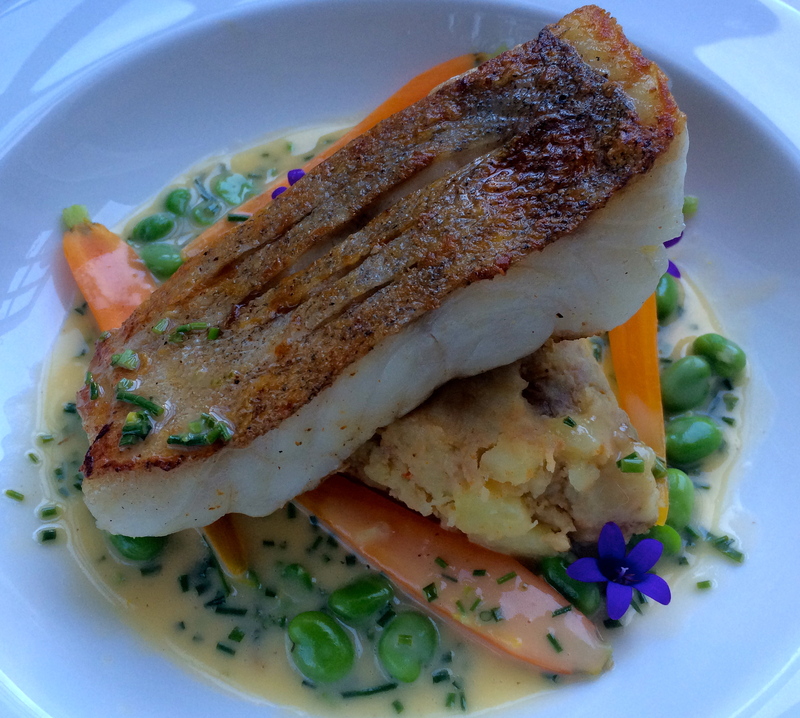 Pan Roast Pollack with Crab Crushed potatoes, Lemon and Lime Chive Butter sauce. 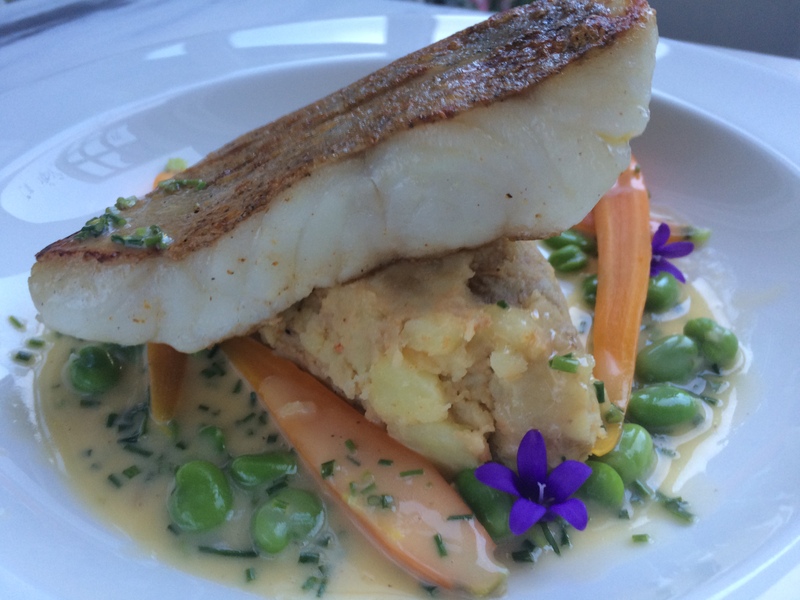 This will be one of my favourite posts, purely on the grounds that it ticks a lot of my boxes: sustainable British fish that is bang in season, a subtle flavour of crab running through the potatoes and the delicious zing of the butter sauce. More than that though, it’s not extravagantly expensive due to a cunning cheat and it’s ridiculously quick to make. There is, unquestionably, a lot of butter in the sauce but the clue is in the name! 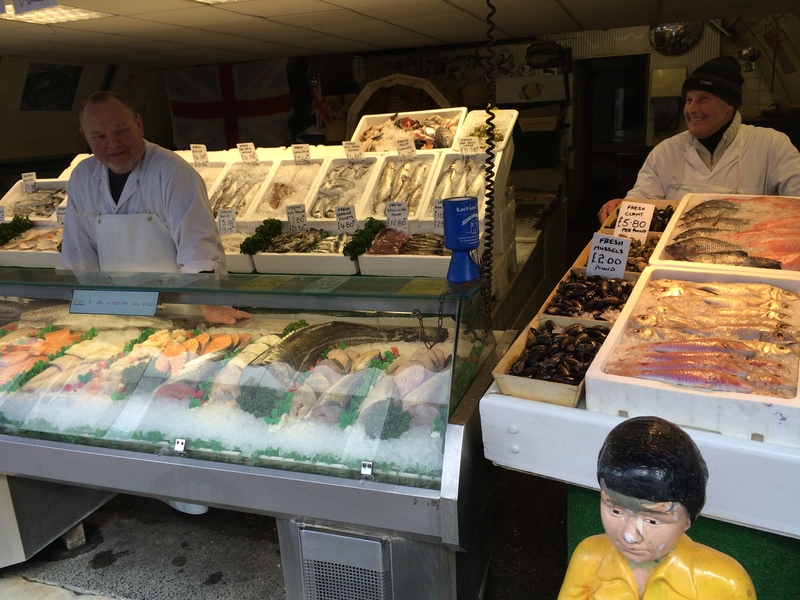 I knew I wouldn’t make it to the fishmongers on Friday so Rocket volunteered to pop up to Brixton and go the the fishmonger ‘under the arches’ in Station Road. They are really helpful and it’s handily located for us…. There is great consternation at the moment as the arches are under threat from network rail, and I understand that there are plans to evict the traders, many of whom have been there for generations. It’s the heart of Brixton and you can find out more and how to support the traders in future here. Just the other side of the arches lies Beehive Place and the small house that was until recently the Brixtonian Rum bar, but before that (very importantly in my view) it was the little house in which my darling dad was born. Weaving between the station road arches lies Electric Avenue which was the first market street to be lit by electricity back in the day. 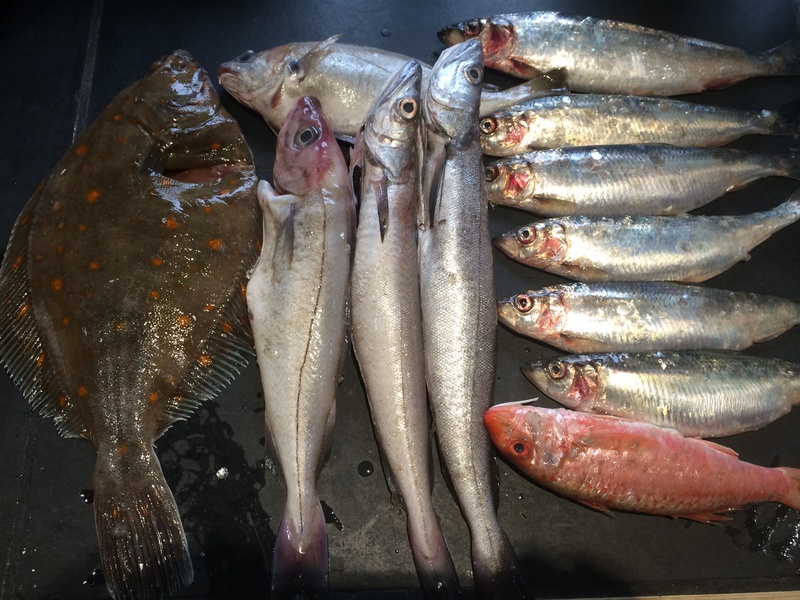 So….I requested some pollack fillets which are both sustainable and in season. 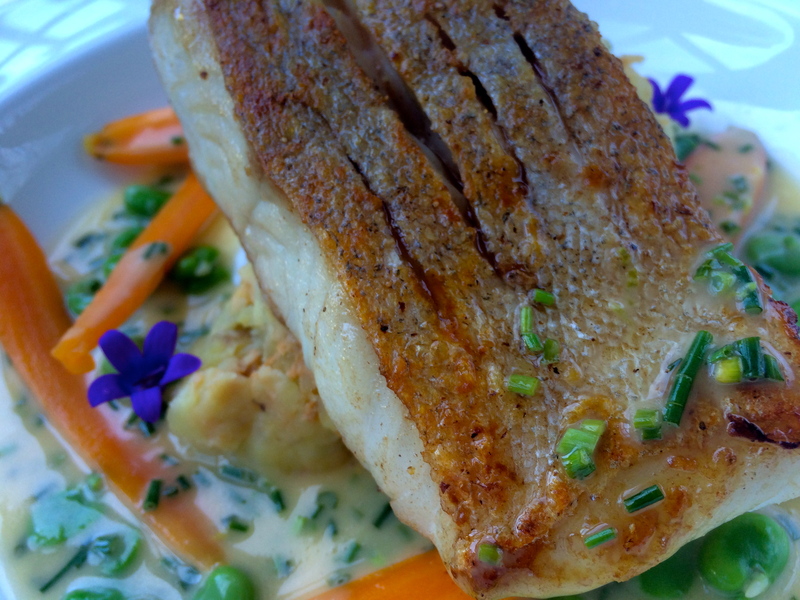 If you’ve never had pollack, it’s a lot like cod with a nice meaty consistency. Rocket was at the races today with my brother, Karl-Heinz, and whilst still nursing my sore head I did my prep and then turned out our supper which I must say I am very pleased with. 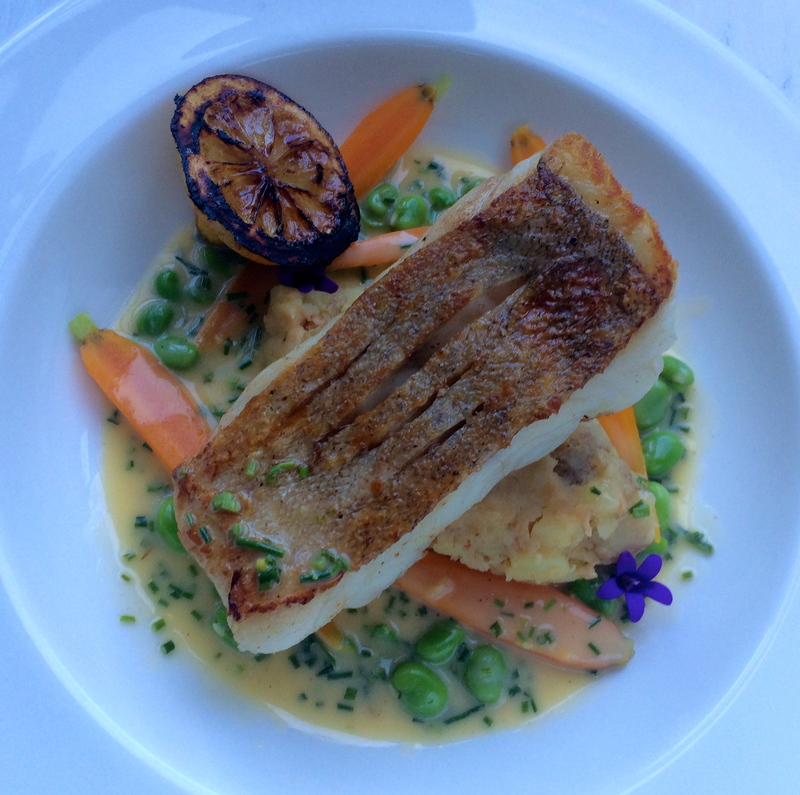 I think what pleased me most was that London was very ‘Springlike’ today and this felt like spring food… The dish took me 30 minutes to make from end to end and it didn’t break the bank. 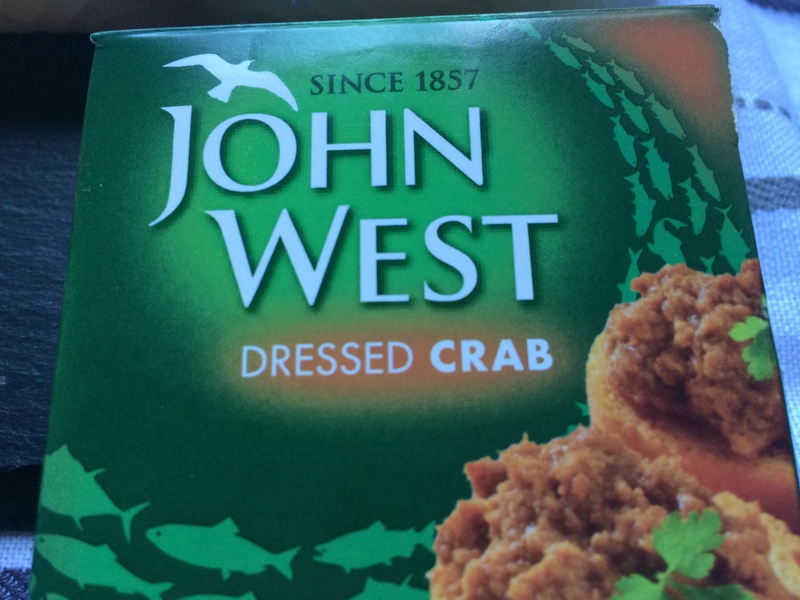 I had been going to do some crushed potatoes and then thought I might use crab but instead I used a small tin of ‘dressed crab’ which has the delicious intensity of the brown crab meat – it is 97% crab with some seasoning etc and has provided a subtle but delicious richness to the potatoes. It’s only £1 for a tin – I can report that it’s great on toast too! 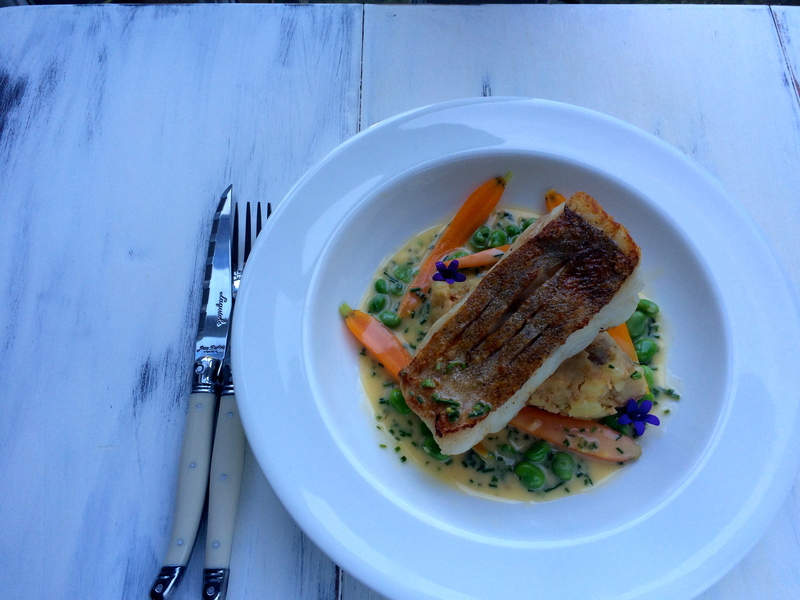 I borrowed from a James Martin recipe for the butter sauce, but have also changed it to achieve what I wanted – if you’d like to see James’s version here it is. Sea salt and white pepper. 8 charlotte potatoes, washed and roughly chopped – skin on. (Any new or salad potato will work just as well). 1/2 cup of broad beans blanched and removed from their outer jackets. Sprinkle the fish with a little salt on both sides, cover and put into the fridge for 20 minutes – this helps draw out moisture and firm up the fillets. Combine the wine, vinegar and shallots in a saucepan and bring to the boil. Turn down to a simmer and reduce the liquid by half, then add the water and continue to simmer until there is just about a tablespoon of liquid left. Now, reduce the heat to low and begin adding the knobs of butter whisking them as you go, the liquid will start to emulsify. Continue adding the butter until it is all in. Pass the liquid through a sieve into clean pan, you will now have a creamy slightly fluffy sauce. 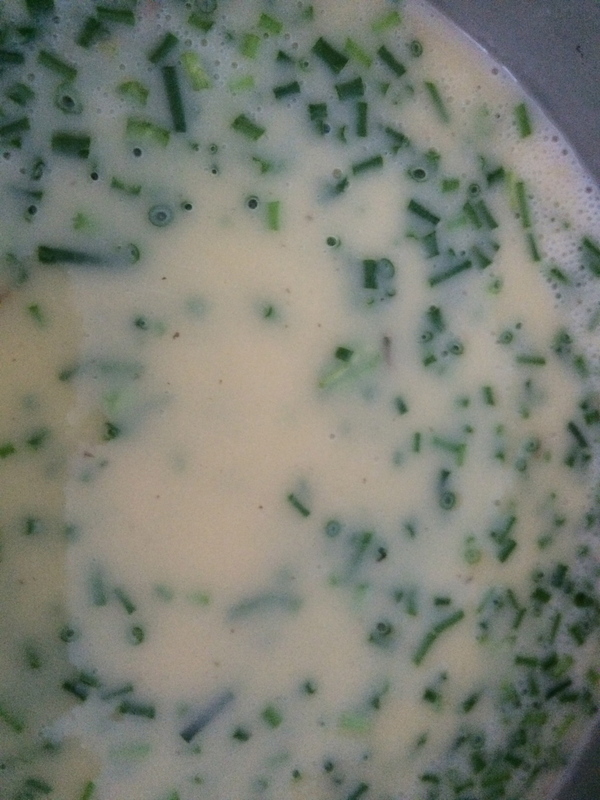 Stir in the chives and the lemon and lime zest and a little sea salt. Taste and adjust the salt to taste. Set the sauce aside until ready to serve when you can just re-heat it for a minute or two. Put the potatoes on to boil in lightly salted water and whilst they are cooking, peel the carrots and shuck the broad beans – if you blanch the beans they will pop straight out of their jackets. 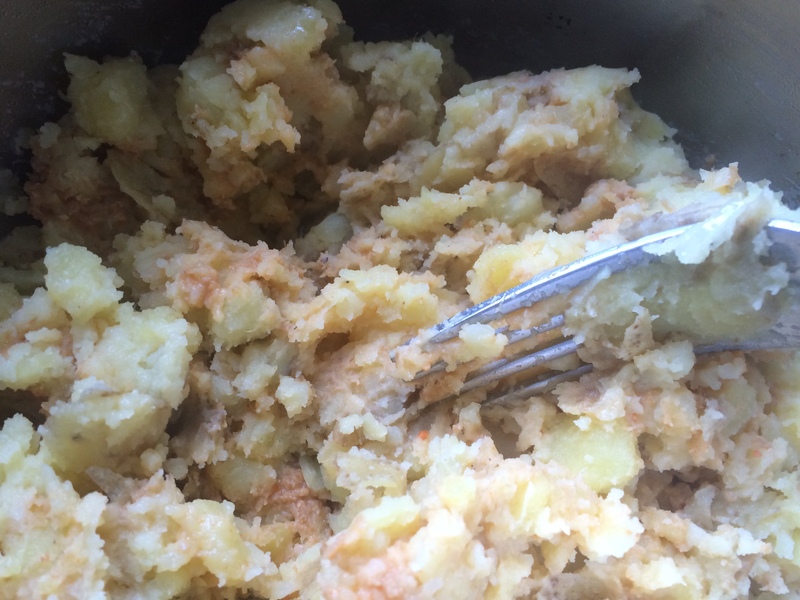 Once the potatoes are just cooked – about 10 minutes – drain them and allow them sit for a moment. Put the carrots into lightly salted boiling water, cover and cook them for 5 minutes. During this time, add the butter to the potatoes, crush them with a fork. Next add white pepper and the content of the dressed crab can, and stir gently through, you want to retain some prices of potato so don’t let it go to mushy. 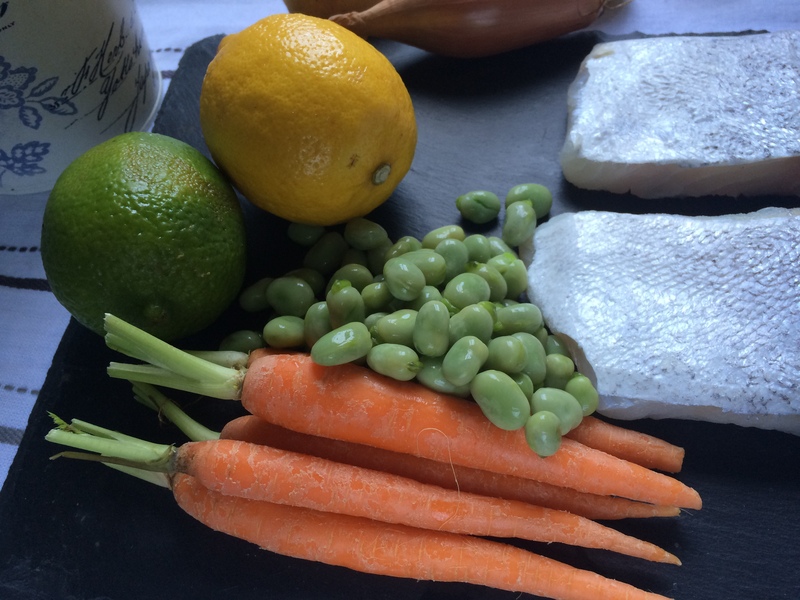 Check the season and adjust to taste.Drain the carrots and add the broad beans to the carrot pan. Now heat a heavy based non stick frying pan on high heat. Take the fish from the fridge and rinse the salt from it. Dry the fish and brush the skin with a little oil. 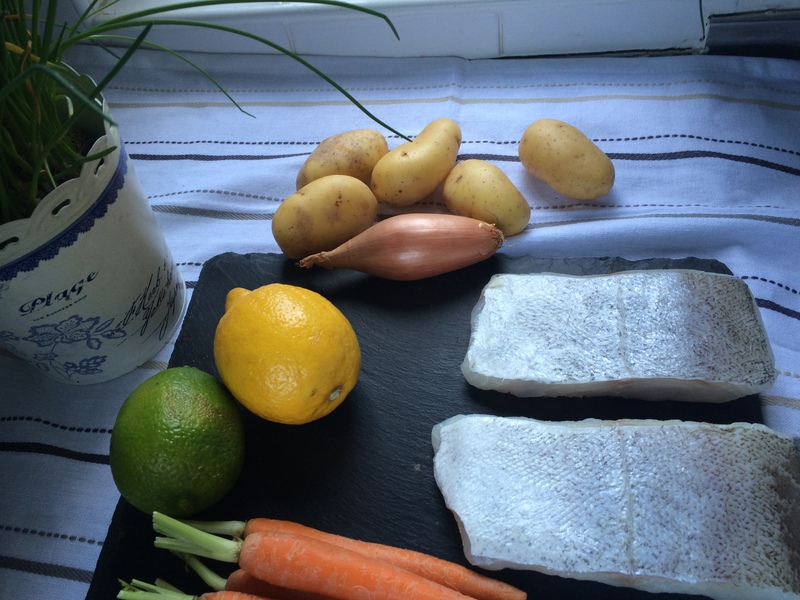 Put a knob of butter in with the carrots and beans and put them on a very low heat to warm back through, also put the sauce onto a low heat and the same with the potatoes so that all the accompaniments are warming whilst you cook the fish. Place the fish skin side down in the pan, reduce the heat to medium and allow the fish to cook for about 4 minutes, depending on the thickness of your fillet s. The fish should have gone from translucent to white for the most part with just a line of translucent flesh through the middle. Carefully turn the fish over and turn off the heat in the pan leaving the fish to cook on in the residual heat. This will allow the fish to carry on cooking for 2/3 minutes while you plate up. Put a generous portion of the potato mixture in the centre of the plate, spoon the vegetables around the potato and then spoon the sauce over the veg. 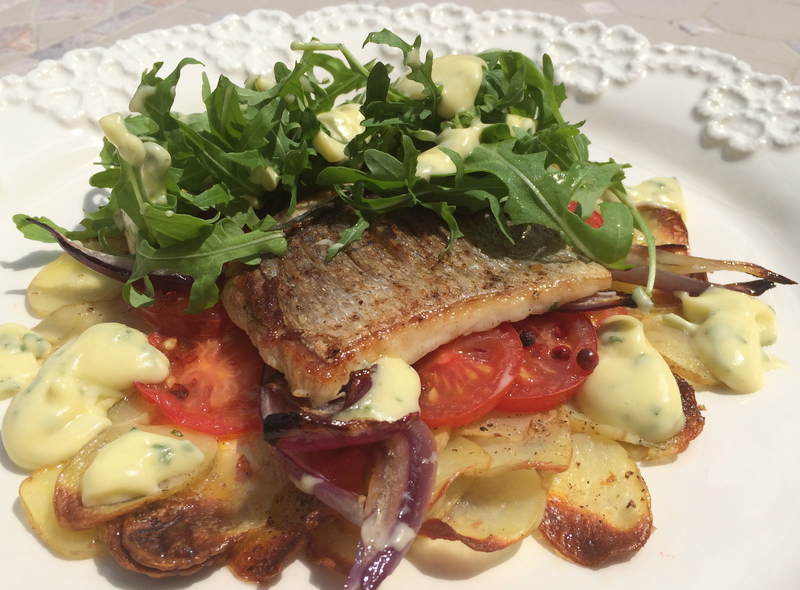 Lift the fish out of the pan and place it skin side up on the potatoes. I added a piece of lemon to the pan when the fish was cooking to give a caramelized finish and served that with it as a zing of lemon is nice over the fish, also I added some edible flowers. Always check when adding flowers that they are edible and that they haven’t come into contact with chemicals like pesticides – if in doubt, leave them out. Now then – let’s have a blast from the past. Previous PostSearching for something…Next PostChelsea Chelsea! Chelsea Chelsea! For someone with a hangover and a sore head, this is MARVELOUS!! Thanks Dana – has spring sprung over there yet? Just about…it’s so tough to say though because the weather is just so sine-wave like over here. Hi Poppy. Looks really nice bet its tastes good to. Thank you for liking my poem Cornfield! Best Wishes. The Foureyed Poet.